This is a letter we received from a reader of Call To Witness. We have expressed our gratitude for the letter privately with them. With the reader’s consent, I am posting it here to share with you the words of personal struggle expressed in the letter, most important, the reader’s spirit and personal empowerment. 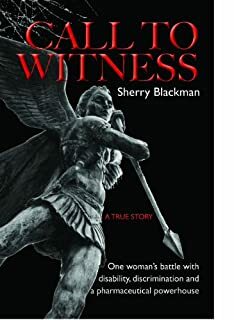 I recently read Call to Witness, and would like to express my appreciation to each of you for the inspiration that this book provided me. Together, you formed a formidable team that continues to impart strength to others through the telling of your story. My thanks go, also, to all of those who accompanied you on your journey to justice. Mr. Reilly’s expertise and astute timing. The combination of these attributes creates a powerful framework for those of us struggling with health care issues. I am the health care advocate for my husband, who has had multiple sclerosis for almost 30 years and now, at age 52, lives in a long-term care facility. I am also the advocate for my elderly father and aunt. I am recovering from a car accident of four years ago that stole me away from my teaching career. My injuries were suspect in the eyes of the disability insurance company, and I had to endure the indignity of proving that I did suffer a disability. Thankfully, I had employers who believed in me and an attorney who fought for me. I am gradually working to return to the career that I love, and I feel empowered by your message. Thank you for sharing your story of endurance and triumph. I am recommending Call to Witness to friends and family members. This entry was posted in ADA, Empowerment, The Book and tagged ADA, call to witness, disabilities, discrimination, empowerment, inspiration, long-term care, Title VII. Bookmark the permalink. Sherry this is a well deserved tribute to your talent And the beautiful job you did on Call To Witness. I think it’s a wonderful book and in Many ways I think Rev It Up is even more Wonderful! I am so honored to have been there with you during your entire career. I know you will be very successful! I can’t wait To stand in line to buy it!